Making good on its promise it made last month at its I/O conference, Google has updated its Google+ app with full iPad support. The app has been optimized for Apple’s tablet, and looks great on its Retina display. The headlining new feature in Google+ 3.0 is obviously iPad support. The update has been highly anticipated ever since Google showed off a preview of it during its June developer conference. But there are a few other interesting new additions as well. Google+ Events is a lot like Facebook Events, allowing users to share upcoming happenings with friends and family, and invite them along. Then there’s Hangout creation, which is pretty self explanatory. 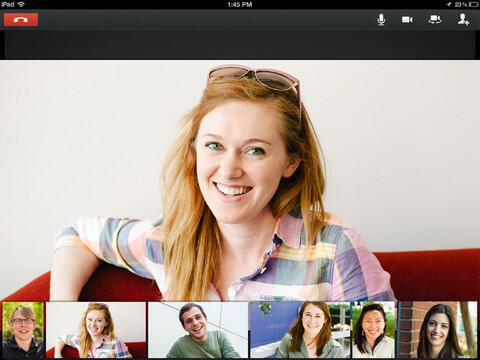 Users now have the ability to start and stop Google Hangouts from their mobile device. The new Google+ app is universal — meaning it works on both your iPhone and iPad — and can be downloaded from the App Store, for free. Oh, and while you’re at it, don’t forget to add iDB to your circles. Have you tried the new Google+ yet? What do you think of the iPad version?